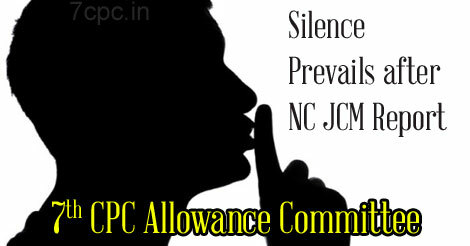 "Speculations about the Committee on 7th CPC Allowances have stopped following the assurance from the Cabinet Secretary"
NJCA Secretary Shiva Gopal Mishra's meeting, on March 28, 2017, with the Cabinet Secretary has seemingly put an end to the generation of constant rumours and baseless speculations regarding the Report of Allowance Committee. Almost every day, the media carried news about the granting of allowances based on the 7th CPC salaries. There is no denying the fact that most of these sensational headlines were based on the meetings in New Delhi or on the statements from the officials involved. Speculations like "it will be announced today…", "news is expected this week…", "Announcement likely on this date…" were not uncommon. Such news not only generated immense excitement among the Central Government employees, but it also made them contact their respective trade unions for clarifications. Caught in the midst of their own long list of problems, in addition to planning their future protests, these trade unions were also constantly maintaining pressure on the Central Government by writing letters to them. It was in this scenario that the NJCA Secretary, Shiva Gopal Mishra met the Cabinet Secretary on March 28, 2017. During the meeting, he had clearly conveyed to the Cabinet Secretary that the long delay have led to the Central Government employees losing interest in this issue. The Cabinet Secretary, on his part, has accepted that decision on the 7th CPC Allowances is taking time, and assured that he would try his best to resolve the issue as quickly as possible. He also said that he will try to obtain the report from the Allowance Committee very soon and forward it to the cabinet for its approval. Citing the local bodies election in Delhi as the reason for the delay, the Cabinet Secretary has also assured to seek the permission from the Election Commission, if required, to accelerate the process. This assurance has, to some extent, pacified the Central Government employees. They don't seem to mind the delay, in the desire that arrears for these allowances will be paid.